Run over to Amazon where you can pick up this Rubbermaid Brilliance Pantry Airtight Food Storage Container 10-Piece Set w/ Lids for just $41.95 shipped (regularly $50.58). These airtight food storage containers are guaranteed not to leak and are great for storing dry foods like grains, pasta, sugar, cereal, dried fruit, and even dog food. 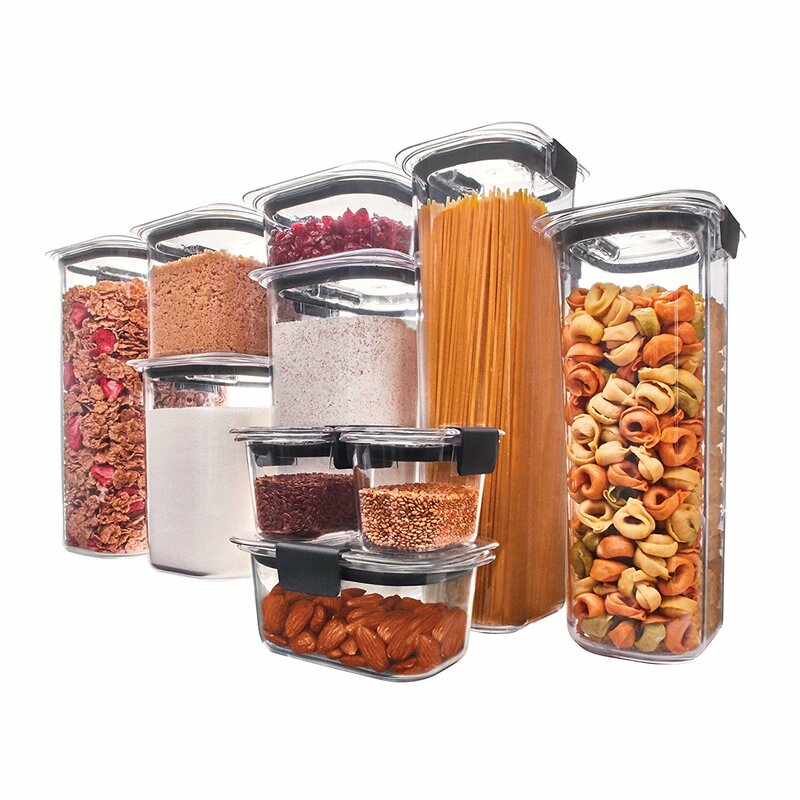 Plus, they feature a modular design to save space in your cabinet or pantry. This set includes the following containers and they all come with a lid: one 19.9 cup, one 16 cup, one 12 cup, one 8.1 cup, one 7.8 cup, one 6.6 cup, one 3.2 cup, one 1.3 cup, and two bonus 0.5 cup mini containers.